Location: Jackson Lake picnic area, Angeles National Forest. 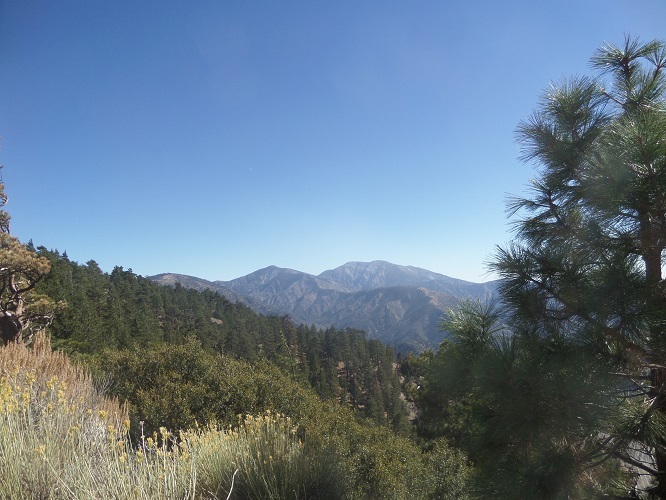 From Big Pines on Highway 2 (9 miles west of Highway 138 and 56 miles northeast of I-210 at La Canada Flintridge), head northwest on Big Pines Highway for three miles. The entrance to the picnic area will be on the left. 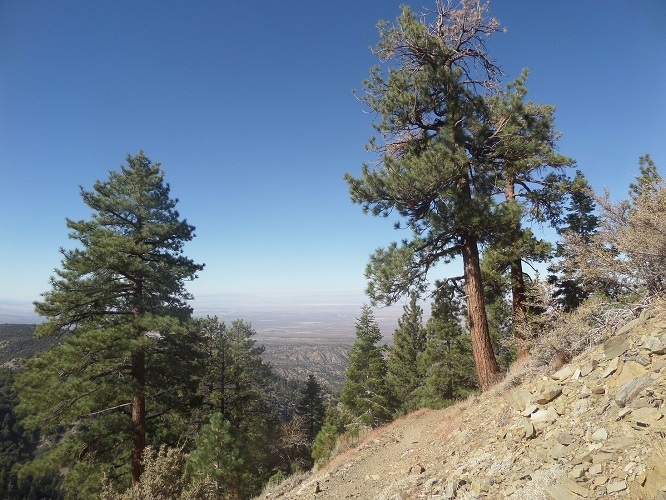 From Valyermo, take Big Pines Highway southeast for 10 miles. The entrance to the picnic area will be on your right. A National Forest Service adventure pass ($5 per day or $30 per year) is required. Click here to purchase. Tucked between Big Pines Highway and the northeastern slopes of the San Gabriel Mountains, diminutive Jackson Lake and its picnic area are popular destinations for Inland Empire and high desert residents who want to escape into nature. However, many visitors might not realize that a challenging and scenic hike awaits them here as well on the Jackson Lake Trail, which climbs 1,300 feet over two and a half miles to meet the Pacific Crest Trail between Grassy Hollow and Vincent Gap. The Jackson Lake Trail in fact seems to be more popular with mountain bikers than hikers, but anyone who thinks they’ve seen it all when it comes to San Gabriel Mountains trails should give this one a look. 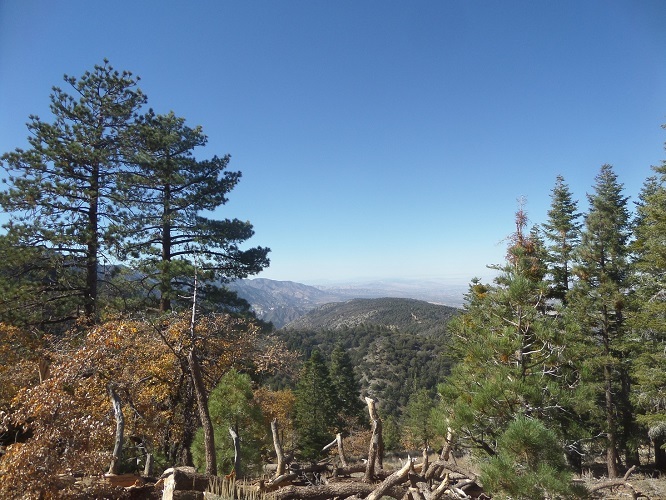 While it may be a drive for some L.A. hikers, it can be combined with other hikes in the area such as Big Horn Mine or Blue Ridge. From the western end of the picnic area, look for the clearly marked Jackson Lake Trail sign. A short but steep climb brings you to a dirt service road. Make a hard left and continue uphill. Past the amphitheater, the road makes a hairpin right turn. In between black oaks and pines are glimpses of the high desert. Just under a mile from the start, you reach a Y-junction. Bear left and pass the Boy Scout Trail (a return option for a longer loop that is popular with mountain bikers). Follow the dirt road a short distance more to the start of the next leg of the Jackson Trail, on the left. Once on this single-track, continue climbing at a moderate grade, somewhat steep in a few spots. Most of the route is well shaded. At one exposed spot, following a hard left turn, you will get more views of the high desert. If visibility is good you can see all the way to the Tehachapi range. At 2.5 miles you reach the end of the Jackson Lake Trail. This spot, a junction with the Pacific Crest Trail, may seem a little anti-climatic, so for a better view, head right (west) on the P.C.T. 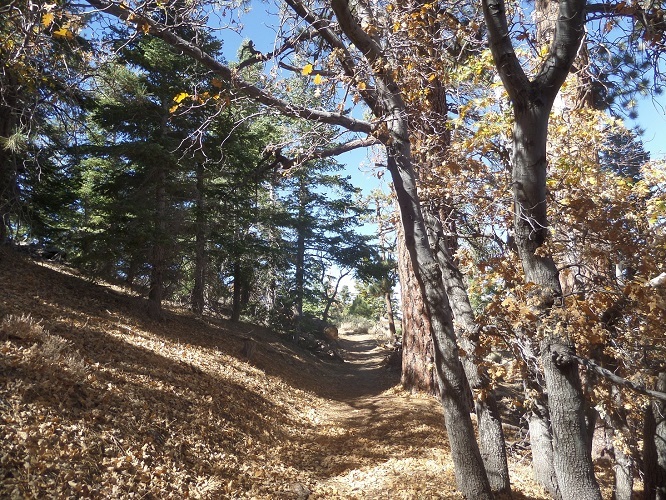 and almost immediately, pick up a short spur leading to a service road (part of the Grassy Hollow/Jackson Flat Loop). Here, you are rewarded with impressive views of Mt. Baldy, Pine Mountain and Mt. Baden-Powell. This is a good turnaround point for a moderate day hike, but if you still have time and energy, you can extend your hike on the Pacific Crest Trail in either direction.